I love this, that is genius. 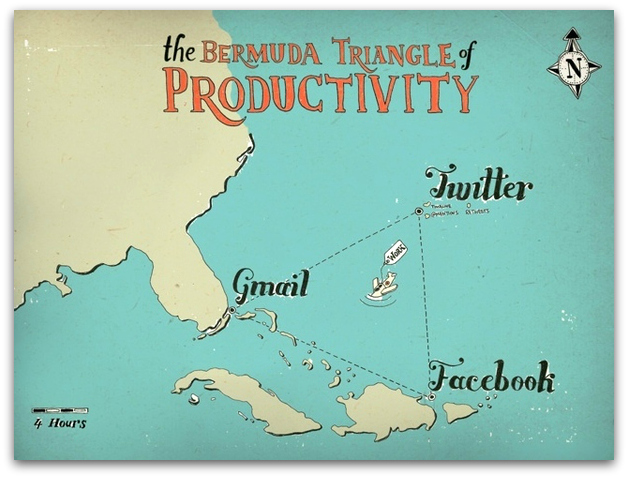 Often times I get lost in that Bermuda Triangle. Very true, Miranda. But the Facebook habit is a tough one for me to break because it makes the drudgery of my office job more palatable.